What a cool thing to do!!! Her embroidery is so much fun - I just might have get out a few of her patterns this weekend and make a pillow or something. YAY! Wow, that is so incredibly neat. 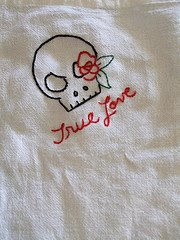 What love and talent went into that towel! Amazing. Love the tea towel. The stitching is just wonderful! So cool. And I think there might be a variation of the "put me in your belly" in my kitchen very soon. ha. 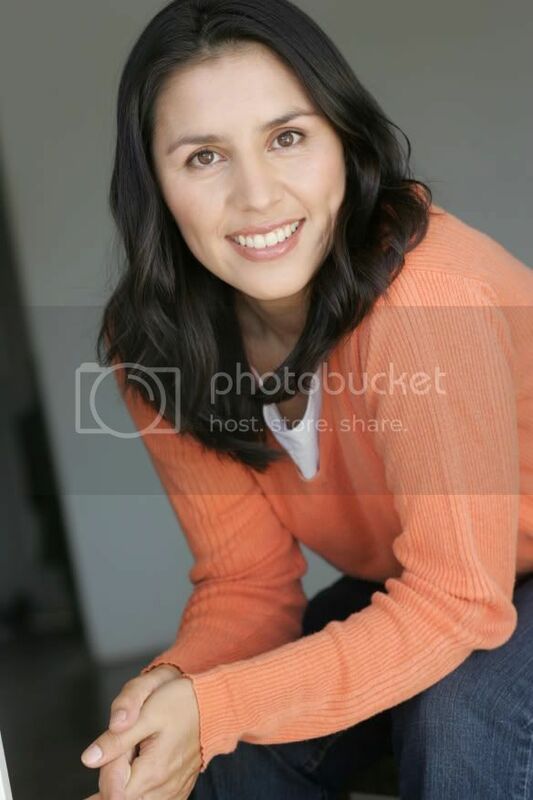 Thanks for the great links and the introduction to Jenny! She reason that I picked my embroidery needle back up again. I love that little sandwich! And what a cool idea. I think that's an awesome project. I would totally have loved to participate in something like that. 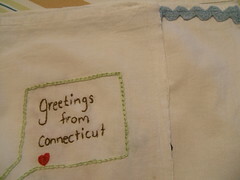 Maybe there should be a communal Flickr embroidery swap and/or communal thingie? I love that towel! Everyone's stitching is gorgeous. Jenny definitely deserves such a great gift. the towel turned out amazing! what a fabulous job everyone did. 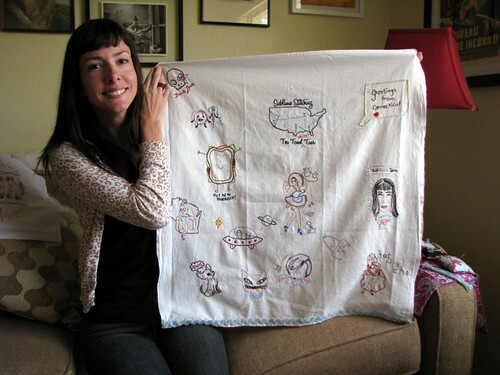 i have no doubt that something that involved the efforts of multiple crafters across the country means a lot to Jenny. The tea towel looks wonderful, I love it. Hi, I'd love any of the books. this is such an inspiring take on the idea of a travelling journal! i have to say, reading your blog (and realizing that real people are behind these lovely stitches) makes me really want to learn how to do so myself. Cool idea and great stitching! Is there international shipping? - if yes, count me in. That tea towel is such a great idea. I LOVE the sublime stitching patterns and blame the book for getting me back into hand stitching (and forcing me to buy embroidery flosses again -- eeek!). Thanks for sharing the love! Wow, talk about beautiful embroidery! 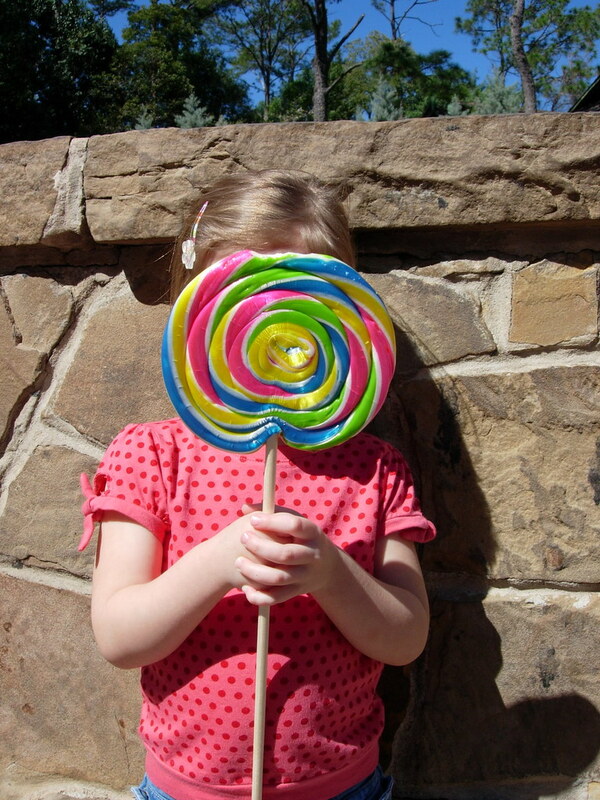 So inspiring...and I just love this blog! I love how she brings new life into a timeless craft. Bravo! What a special treasure for Jenny. The work is beautiful. The tea towel is a great idea - and it's turning out so cool! Now, to re-learn how to do embroidery! 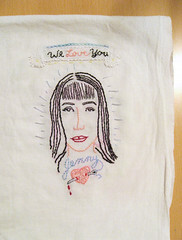 The Tea Towel project is wonderful,I learned about Jenny from Crafters as well.Her work was so amazing to me that I decided to learn to do embroidery. 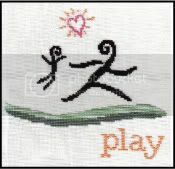 Great idea to stich different ,often unusual motives in different colours. Tough or sweet -what e great creativity. 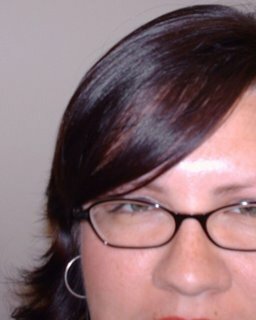 Once again: this blog is wonderful!!! Loved this post. 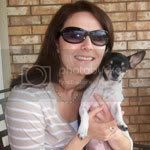 I bought some designs from Jenny a year or so ago - the chihauhas (sp?). 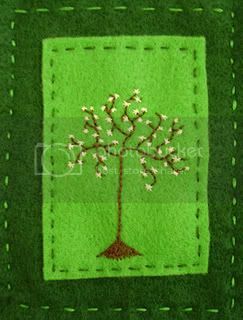 The transfers are so neat and crisp, which made for easy marking and then embroidery. 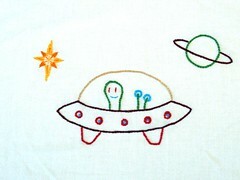 I think she started a hand embroidery revolution with all her quick and easy designs. woo! @ tjat so great! such a lovly project! 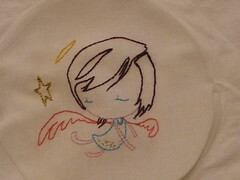 I started embroidering because I bought Jenny's kit. Super tea towel! I had no idea the "secret" tea towel was for her. 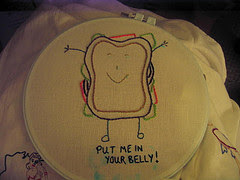 What a great idea for my embroidery idol! Things like this make me think maybe not everyone is all bad. Y'all are awesome. The tea towel is fab!! How wonderful to of been involved in something like that, its so inspiring! 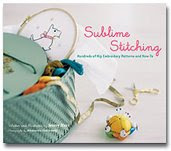 I have her Sublime Stitching book and I love it! 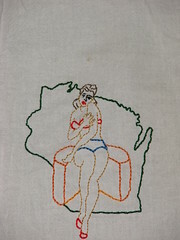 I learned how to embroidery after seeing her site. 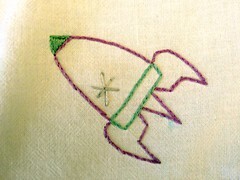 I never realized that embroidery is so easy, fun and cheap. I am shocked that anyone does machine embroidery after doing the hand stuff. 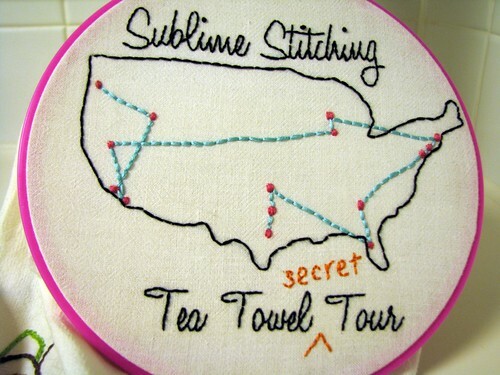 I love the traveling tea towel idea. What a great project. I have discovered embroidery again. Jennys books look so awasome. I would love to win it. lol. Keep up the great work and great inspriation. Am i too late for the giveaway!!!!! I'm working on a pattern by Jenny right now. she is my hero. What a sweet gift! Thanks for sharing the details of it with us. Sublime Stitching is part of the reason I took up embroidery 4 years ago when I was pregnant with my first child. Jenny is such an inspiration! How cool! What a great project! 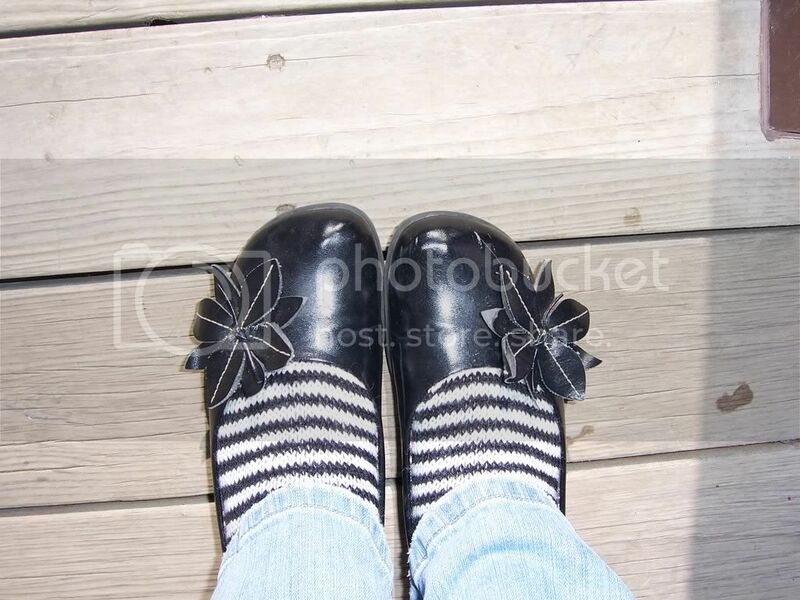 I'm definitely a fan of Jenny's amazing patterns. Please put me in for the drawing. I need some inspiration to finish up a cotton crazy quilt. 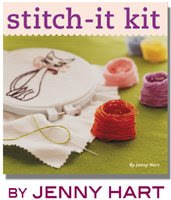 Until I picked up Jenny's book at the library I thought embroidery was ducks and teddy bears and "decorative" and just not my pragmatic style. I'm no embroidery queen now, but I finally pulled out my old collection of floss, some tea towels and now have another craft on my list of things to do! Thanks Jenny and thanks to "Feeling Stitchy" for the constant inspiration! Love the tea towel!!! Great giveaway! Cute stuff! Please enter me in the running ;) HUGS! 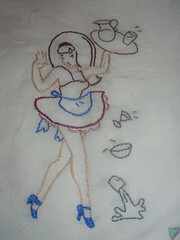 Jenny's fun patterns were what got me interested in embroidery. Now I love it! So excited to be learning from the master herself on this blog! She has inspired so many of us to pick up needle and thread! This was so much fun. I was so honored to be part of the towel making crew. I really think that these towel tours are going to take off. I'm so glad Jenny likes hers too! I love jenny's work and her go get it business sense.